Have you finally found the home of your dreams—except for its outdated or less-than-stellar bathrooms? 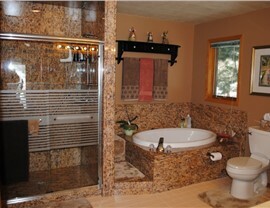 Or perhaps you’ve been in your home for a few decades now and have decided it’s time for a full bathroom renovation. Whether you’re starting fresh or looking for a much-needed upgrade, Luxury Bath offers a range of stunning Raleigh bathroom conversions to fit any customer, any home, and any budget. 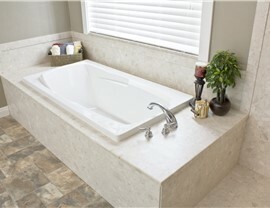 If you have an old, cracking tub you’d like to transform into a shower or a leaky, inaccessible shower you’d like to replace with a walk-in tub, our expert team has over 50 years of combined experience in customized, local bathroom renovations—guaranteeing that you’ll get the exceptional Raleigh bathroom conversion services you deserve. From having kids to having elderly parents move in, our homes need change throughout our lives to accommodate our loved ones. Through our Raleigh bathroom conversion services, we can easily and affordably adapt any bathroom to fit your evolving needs and lifestyle! Our Luxury Bath products are made of the highest-quality acrylic, which is infused with Microban technology to prevent mold and mildew growth. Along with our lifetime warranty, this ensures you’ll never have to worry about leaks, chips, cracks, mold, or mildew. 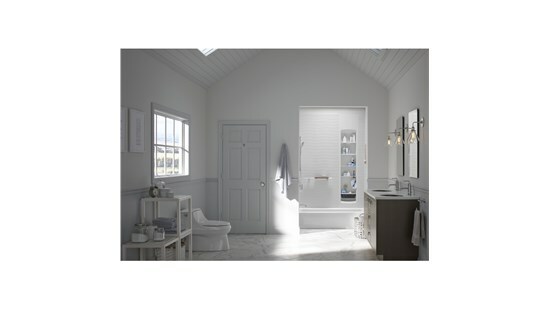 And with thousands of customizable design options—from bathtub molds and liners to elegant surface patterns—you can transform your bathroom in almost any way you want. Because we are committed to delivering the best Raleigh bathroom conversions, every Luxury Bath project starts with an in-home visit, which includes custom measuring and fitting. 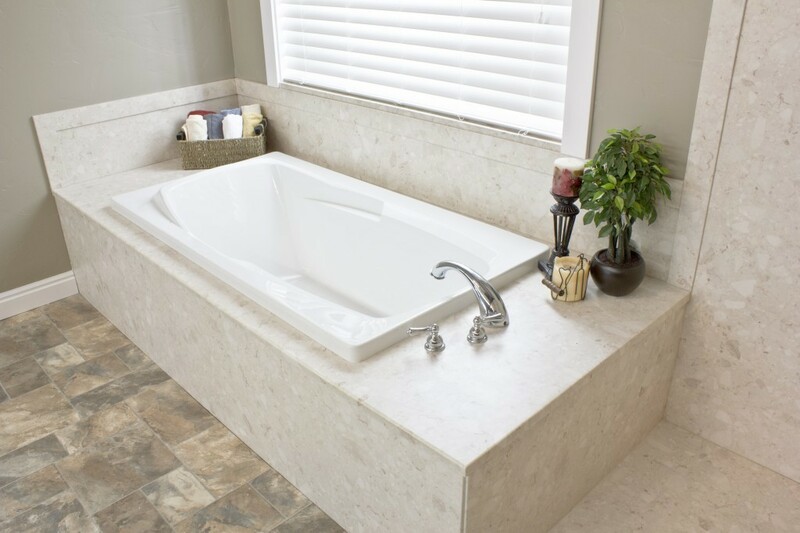 No matter how much or how little space you have, our expert crew has the tools and experience to deliver the perfect Raleigh tub to shower conversion every time. Best of all, our Luxury Bath team can complete your new bathroom installation in as little as one day! Our Raleigh bathroom conversions not only deliver a more aesthetically pleasing space; they can also provide essential bathing options for those with limited mobility. If you or your loved ones have accessibility needs, we can convert your traditional tubs and showers into ADA-compliant solutions built for maximum safety and independence. 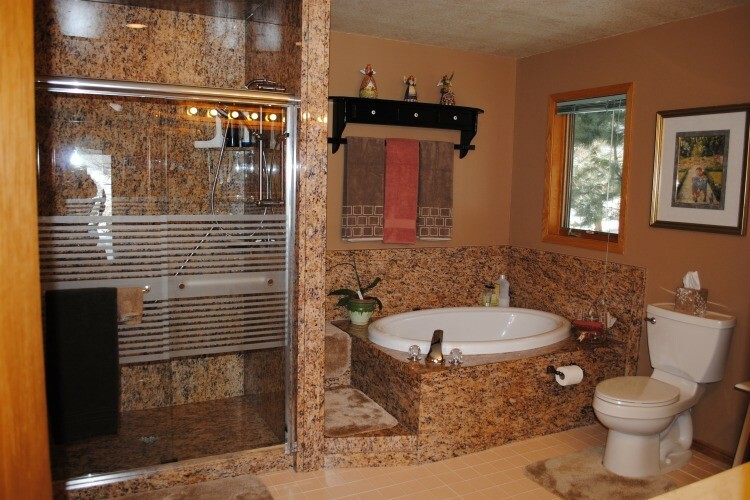 Since 2001, Luxury Bath of Raleigh has helped thousands of customers throughout the Triangle area make their bathrooms more durable, easy to clean, and accessible. 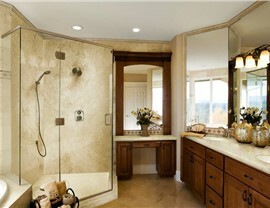 How can we use our expertise in Raleigh bathroom conversions to transform your space? Just give us a call today or fill out our quick online form for a FREE, no-obligation cost estimate!